The Baron MK3 brings out the most in your high-volume tires. The 35mm internal width of the Baron MK3 rim brings Stan’s unmatched traction and control to Plus tires. The Baron MK3 is optimized for 2.80" - 3.20" Plus tires, and joins the Sentry and Major to offer the most rim width options for wider tires. The combination of a 35mm internal width and Stan’s patented ultra low profile sidewall means the Baron MK3 rims keeps you in control on even the most technical trails, while still rolling faster than conventional rim designs. 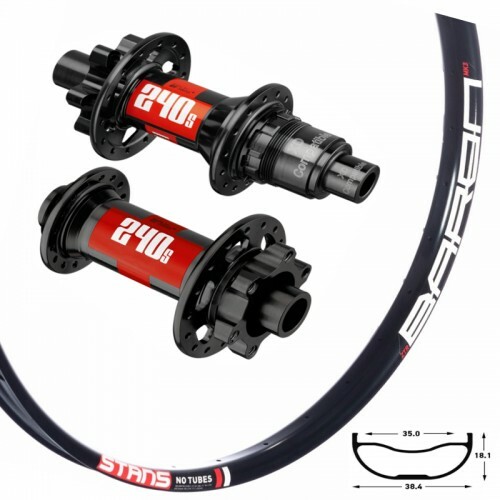 The low profile rim shape is also lighter by design, a great advantage for plusbikes. WideRight - The most important piece to the bicycle-terrain interaction is the contact patch between the tire and terrain, so tire profile and tire pressure play huge roles in bicycle performance and overall handling. But many rims just don't work well with the tires we're all using. Rims that are too narrow fail to offer sufficient sidewall support and protection to your tires and create a less stable shape. The result is less control in the corners, less traction on climbs, and more rolling resistance. Rims that are too wide also distort the tire profile, decreasing traction and control and driving impacts directly into the rim, negating the impact absorbing advantages of a tire's volume. Stan's WideRight rim widths are designed to strike the perfect balance between tire volume and sidewall function. Bead Socket Technology rims are designed to match the shape of your tire's bead to create a safer and more secure air tight interface. Unlike the secure "socket" of a BST design, conventional rim shapes drive the bead of the tire down deeper into the rim, putting pressure on sidewalls that causes friction, restricts tire volume, and keeps the interface from forming a sufficient seal for tubeless use. BST rims secure the bead of the tire, not the sidewall, creating an air tight seal while allowing the tire's sidewall to expand to its true, rounder, more effective profile. 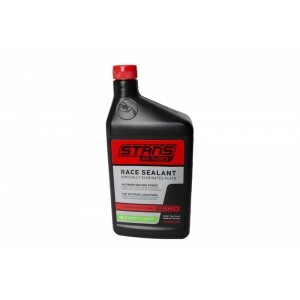 The result is more traction and less rolling resistance. With lower-profile, less vulnerable sidewalls, BST rims are also lighter and stronger by design, and accelerate more quickly. Overal weight of wheels is calculated on the lightest spokes and components! Weight without rim tape and valves. 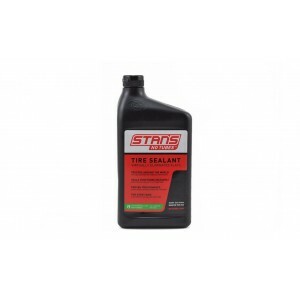 Just two ounces of Stan's Tire Sealant in a converted standard tire or a tubeless tire can repair up.. Faster and better sealing capabilities to keep you rollingTwice the sealing crystals compared to the..